Author NJ Perez’s New Book “Heart of a Cuban” is the True Story of a Young Man and His Family as They Attempt to Escape Fidel Castro’s Cuba. Recent release “Heart of A Cuban: Refugee to American Hero” from Newman Springs Publishing author NJ Perez is an account of a Cuban family's struggle to survive the clutches of Castro on their home. Chandler, AZ, October 12, 2018 – NJ Perez has completed his new book “Heart of A Cuban”: a story of bravery and uncertainty in the face of true evil. “…My words here are a quite simple retelling of the stories I have known and have cherished all my life. For in them, there is a truth that surpasses all the suffering, damage, and control one faction of an absolutely extreme regime can exert against the wholesome simplicity of truth and family. But I will do my best to tell this as it was—for the true heroes deserve that much,” said Perez. Published by Newman Springs Publishing, NJ Perez’s harrowing tale tells of the sacrifice and courage of a family to ensure their survival in the struggle of a lifetime. 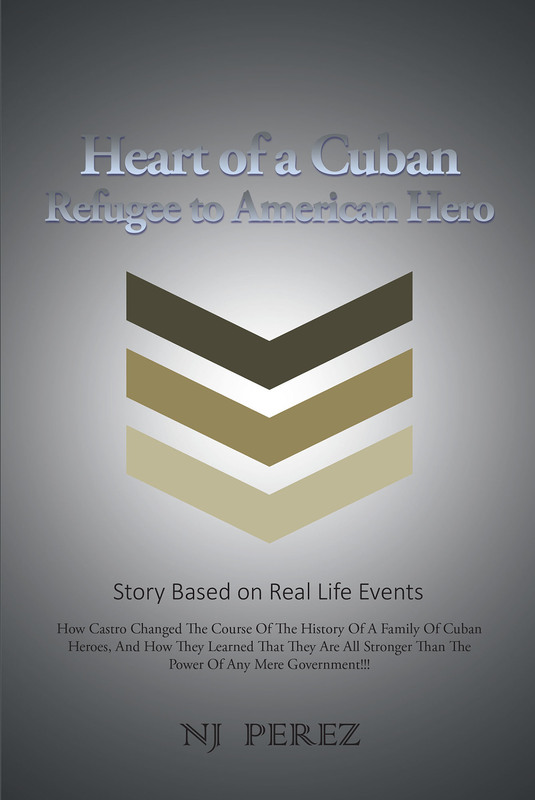 Aligning historical events with family history, “Heart of a Cuban: Refugee to American Hero” exposes the account of Cubans who refused to be pushed like pawns by evil government leaders and one boy’s refusal to give up on the dream his great-grandparents had for a free Cuba. Amid the backdrop of an idyllic childhood spent on his family’s farming estates in the tropical hills of Cuba’s agricultural region, it is an incredible true journey of one family’s escape from Fidel Castro. Andrés was an innocent boy excelling in school and honoring his culture’s heritage until the murderous leader came into power, eager to spew his icy talons across the vulnerable country. Readers who wish to experience this inspiring work can purchase “Heart of A Cuban: Refugee to American Hero” at bookstores everywhere, or online at the Apple iBooks Store, Amazon, or Barnes and Noble.